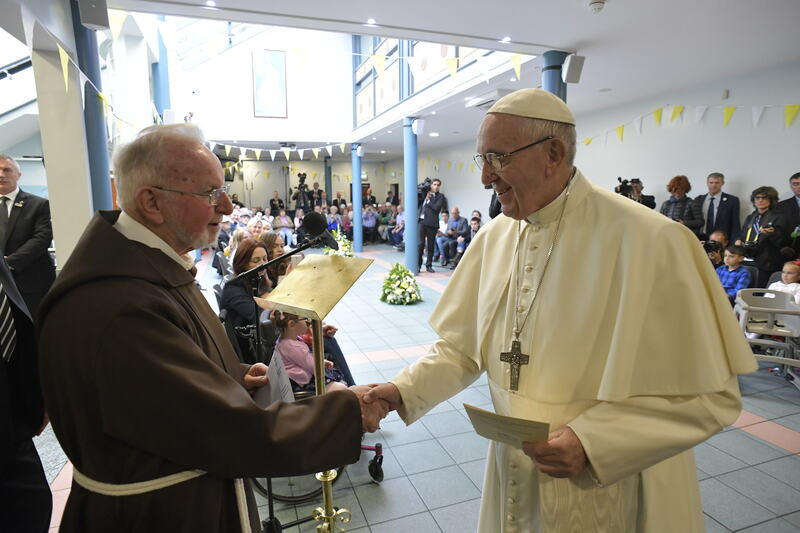 Pope Francis on August 25, 2018, visited the Capuchin Day Centre, which serves people in need in one of the oldest parts of Dublin. “Your Holiness, our Brother Pope Francis, the Capuchin Brothers have always been known as the Brothers of the People. These days you are the inspiration for that title: You are a true brother to the people and a true brother to the poor. The Centre was founded more than 40 years ago for homeless people in Bow Street. From the humble beginnings in the Friary garden, it now provides more than 700 meals each day and some 1,500 food parcels each Wednesday to the homeless and poor of Dublin.